Choose from a selection of 6 holiday rentals in Gmina Osiek. Use the search form to the left to filter the results and pick your choice of self catering accommodation in Gmina Osiek. We have a good selection of holiday apartments in Gmina Osiek perfect for family, single, romantic and group holidays. You may prefer to take a look at our listed holiday villas in Gmina Osiek or holiday apartments in Gmina Osiek. Find your holiday homes by a specific type using the property type drop down in the filter. Filter the holiday homes in Gmina Osiek by a specific area using the area list above. This comfortably furnished country house with a thatched roof stands on a fenced ground and was renovated in the year 2006. 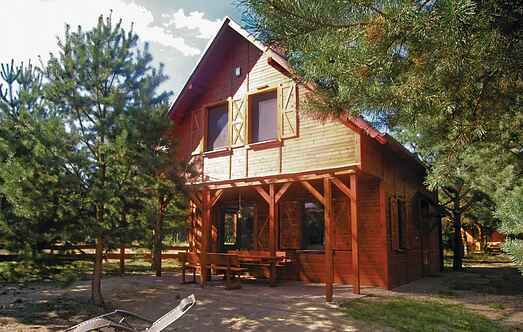 These two comfortable holiday homes (PKA163, PKA164) are located at the heart of Tucheler Forest (Bory Tucholskie) in the town called Wycinki. 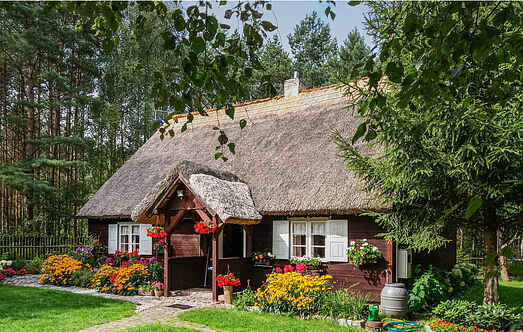 The house, a log cabin made of larch located in the picturesque village Skrzynia. The house is furnished and decorated - on a cold day the fireplace creates a unique ambience.